Since the earliest days of American history, fife and drum corps have been an integral part of our armed forces. Military musicians have always been an integral part of the American armed forces. However, for the first 100 years, military bands bore little resemblance to the marching ensembles of today. When the British began to colonize the New World, their soldiers brought with them the military instruments they had used at least since the middle of the sixteenth century: fifes and drums. In those days before the use of two-way radios, these instruments were prized for their ability to audibly cut through the din of battle. Officers would order different songs to be played to command their troops in combat. This tradition continued in America. 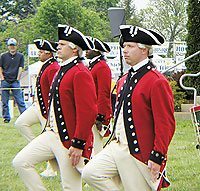 During the Revolutionary War, fifes and drums were also a part of the daily life of every soldier. At least by 1780, General Washington’s assistant, Baron Frederick von Steuben, had standardized nine beats and twelve signals that told soldiers when to wake up, eat, march, assemble, go for wood, retreat and more. From the Civil War on, the fife and drum continued in their privileged place as American instruments of war until 1875 when the bugle officially replaced the fife. Army regulations still permitted fife use as an option to the bugle until 1917. Enthusiasts like the “Civil War Troopers” continue to form fife and drum corps to play traditional military songs. Despite its replacement, fife and drum tradition is still alive, primarily in the New England states, where enthusiasts continue to form corps and play traditional military songs. To experience this first-hand, TFP band director Gregory Escaro and I attended the 4th biennial Spirit of Freedom Parade and Muster in Leesburg, Virginia, held May 6-7. 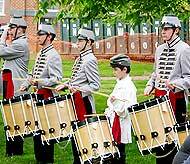 The event was sponsored by the Loudon Border Guards, a fife and drum corps in Leesburg, who provided the opening performance on the lawn of the Loudon County Courthouse on Friday, May 6. The event was sponsored by the Loudon Border Guards, who provided the opening performance on the courthouse lawn. Mr. Escaro and I were particularly impressed with the military spirit that continues to imbue these corps. The deep chest-shaking rumble of the drums and the high-pitched melody of the fife immediately draw one’s thoughts to the ideals of courage and dedication, inherent to the battlefield. After this performance, all the fifers and drummers in the audience were invited to play along with the Loudon Border Guards in a two-hour jam session. Mr. Escaro and I, who both play the snare drum, thoroughly enjoyed trying to keep up with many other more advanced drummers. After the jam-session, we retired for the evening, anxious for the next day’s events. At noon on Saturday, all 17 corps attending the muster began the day’s events with a parade through the streets of Leesburg, which ended at Ida Lee Park. There the corps assembled in the field for the opening ceremonies, after which the individual performances began. The highlight of the day’s events was a performance by the United States Army Old Guard FDC – 3rd Infantry Fife and Drum Corps. 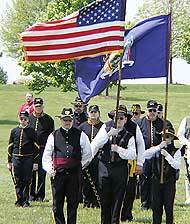 The attending members consisted of two bass drums, three snare drums, seven fifes and seven bugles. The Old Guard demonstrated razor-sharp precision in their formations and movements which betrayed their military background. As a drummer, I naturally was most amazed by the timing and precision of the Old Guard drummers which resembled that of a well-tuned watch. Amid the intensity of sound produced by their beating was a perfect uniformity in movement and even stick height. The entire corps demonstrated razor-sharp precision in their formations and movements which betrayed their military background; every member of the Old Guard is an active duty soldier. Emotions reached an apex as the Old Guard performed a famous routine that includes a combination of slow-march and quickstep, usually played when the corps passes before the American Flag. After all the corps played, the event concluded with another jam session. Mr. Escaro and I were particularly impressed with the military spirit that continues to imbue these corps. The TFP recommends events like the “Spirit of Freedom parade and muster,” but not merely for their artistic value. Beyond their value as musical instruments, the fife and drum are symbols that reach a higher plane. Like all things military they proclaim the existence of values so important that one should be willing to fight and die for them. These ideas of honor and values greater than life have a particular significance to Americans. Despite our defects, Americans love the military, and with good reason. Our Armed Forces were instrumental in confronting two great evils which threatened the twentieth century: Communism and Nazi-Fascism. We should take pride in this fact. By promoting the traditional American instruments of war, fife and drum corps actively bolster this pride. Understanding the history of these instruments gives this pride strong roots, much needed as we advance towards a future full of danger and uncertainty. 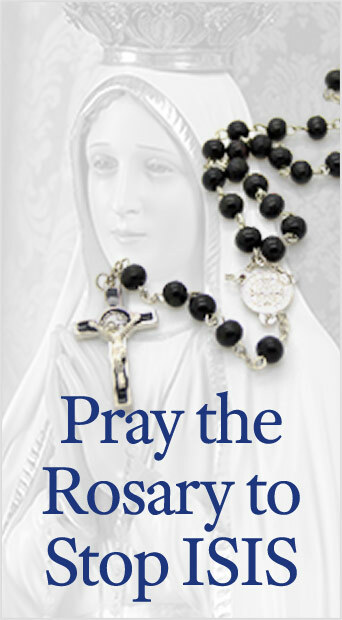 This entry was posted in TFP Recommends Books and tagged America, armed forces, band, border, British, celebrate, colonial, corps, courage, dedication, drum, evil, Family, fife, flag, good, guard, honor, infantry, Loudon, military, moral, music, musician, Old Guard, Order, place, Plinio Corrêa de Oliveira, Recommends, Revolutionary War, soldier, spirit, TFP, Tradition, troop, United States by Michael Whitcraft. Bookmark the permalink.